"It was out of your hands"
Dan Francis is a Master/Craftsman and Certified Professional Photographer based out of Fargo, ND. He also was a college photography instructor for eight years. He specializes in Architecture, commercial spaces, as well as headshot photography in Fargo, ND. 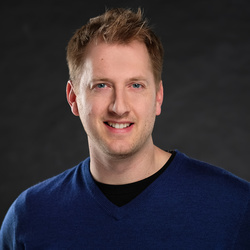 Dan studied graphic design and photography at Northwest Tech and after graduation, he worked as a photographer and digital artist at a photography studio for six years before creating Dan Francis Photography. Since moving into his first studio in 2009 he has become a 2010, 2013 and 2015 PPND Photographer of the year along with being a 6X Kodak Gallery award winner. Dan uses both natural and artificial light where it is needed. When not shooting, Dan is working on personal projects which can be found here on his website as well. He also served as a board member to a local art group, is currently a vice president of the PPND organization and is a past president of the Fargo-Moorhead Camera Club, which has been around since 1948. With a love of the art of Norman Rockwell, Dan tries to find a story with every finished image he creates.